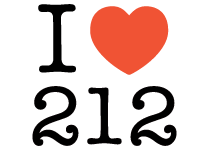 212 numbers are synonymous with New York City, now you can also get 212 a fax line through 212areacode.com. When you purchase 2 consecutive numbers and subscribe to our unlimited call-forwarding service ($24.99 a month), the second line will act as a digital fax line, all faxes (up to 100 pages a month) will be automatically forwarded to your email. 332 Area Code? Get a 212 Number! UPDATE: Ring.to is now a paid service, just $18 a year, still a good bargain….